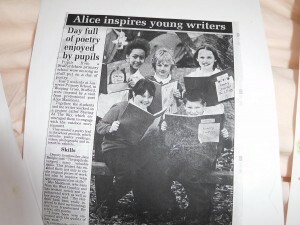 Alice was lucky to be involved with the Creative Partnerships scheme, which for many years paired up writers, artists and schools. 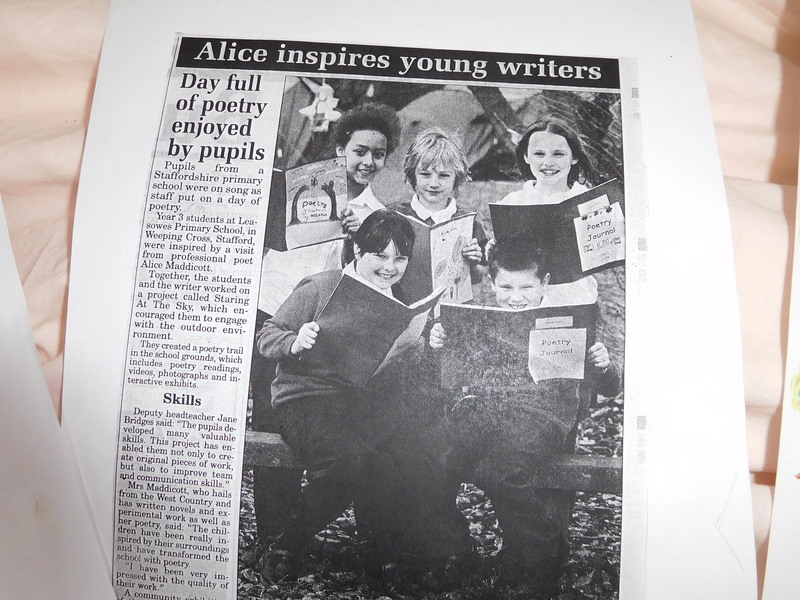 Alice’s partnerships included Leasowe’s Primary School in Stafford, Naphill Walter’s Ash school near High Wycombe and Abbey Hulton primary school in Stoke on Trent. At Leasowe’s Alice worked with the whole of year three and their lovely teachers on a poetry project that lasted the whole spring term. Workshops included outdoor simile and beautiful word treasure hunts to help discover how interesting language can be, outdoor skipping games to work on rhythm, art workshops to illustrate their poetry and many more. 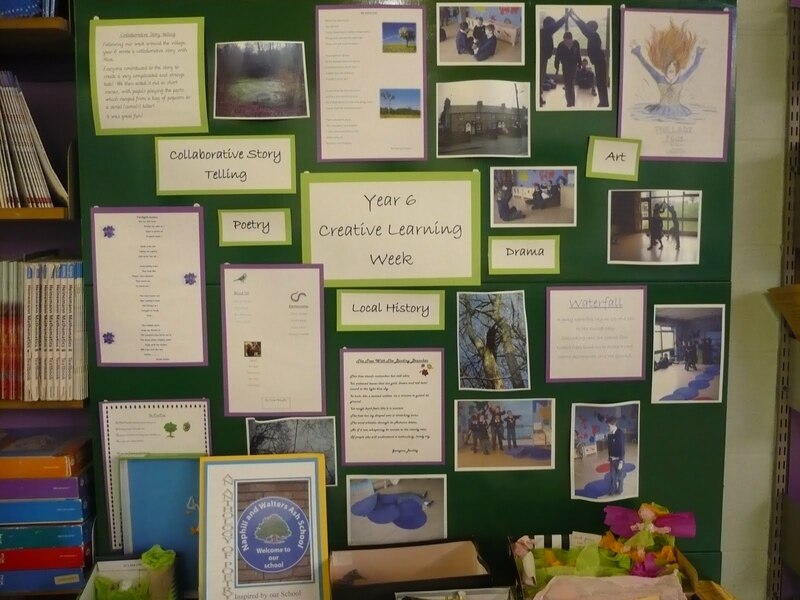 The work the children created was then used to transform the school for a poetry celebration day where parents and other pupils could see the work displayed outside and throughout the school buildings. 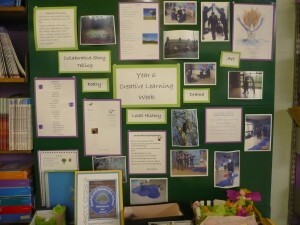 The children acted as poetry guides, explaining their work and performing site-specifically. There was also a film projected about their experience. At Naphill Walter’s Ash school Alice worked with the whole school spending one week with each year group. Part of the enquiry question for this project was using art and creative writing to seek out and learn more about the hidden history of the village, the local forest and the site the school was situated on. Workshops included digging in the school grounds to find objects to inspire stories, creating story treasure hunts in the local forest, collaborative site-specific story creating, imaginary world building in the playground, making models of imaginary worlds with found items from the grounds and much more. With the younger children Alice worked on some immersive play sessions where everyone spent a session pretending they were in the children’s imaginary worlds and interacting with characters. 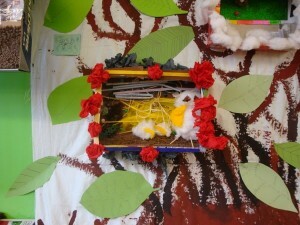 They also created imaginary friends which they took on a day out to the forest and built stick roller coasters for them! At Abbey Hulton Alice worked with years 2 and 4 on aspiration building and creating imaginary versions of Stoke on Trent. A great day was had hunting for ideas in the local park and brilliant stories and art work were created, leading to a transformation of the school library that parents were invited to visit. A celebration event even had the mayor present!